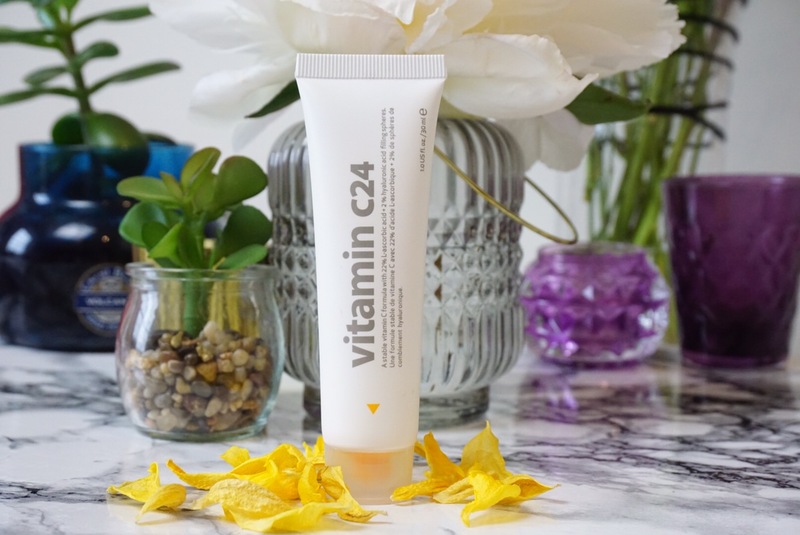 Vitamin C24 – Your Skin needs it. Now. So you may have seen my previous post on 10Balm from Indeed Laboratories (if not, you can read it here). Today I am introducing another one of Indeed’s wonder products. 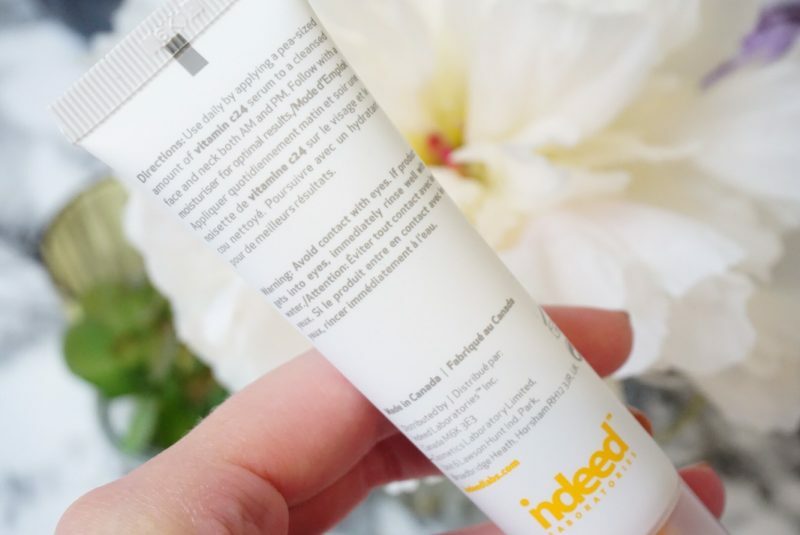 Indeed Laboratories are a Canadian skincare company (available at Boots in the UK currently 1/3 off) that are committed to creating potent, innovative products that address specific skin concerns. Their ethos is that their products deliver simple, accessible alternatives to overly-complicated, pricier products on the market. Somewhat similar to similar to The Ordinary. First of all, Vitamin C products are popping up all over the shop at the moment – so my number one piece of advice would be to pay attention to the percentage. Don’t fall for the marketing of an ingredient without checking what percentage of that wonder ingredient is actually in the product you are buying. When it comes to Vitamin C in skincare: the higher the percentage, the more effective the product will be. A lesser percentage would be useful for someone looking for day-time use, or for younger skin. 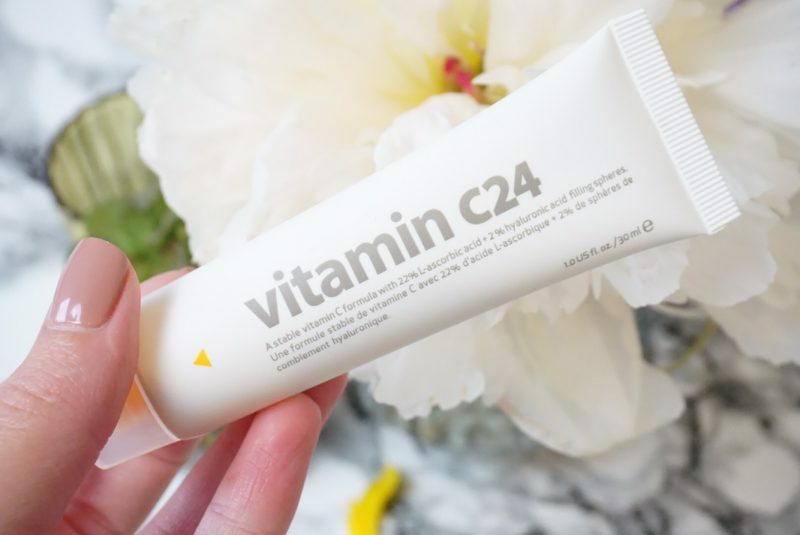 Vitamin C24 from Indeed Laboraties is a next-generation, anti-ageing Vitamin C cream formulated to defend your skin against everything you can’t see. Why Use Vitamin C in skincare? Vitamin C acts as an anti-oxidant to help counteract all the environmental damage our skin battles every day. This can come from stress, sun damage, pollution, poor diet, even our phone screens. All of these damaging factors lead to the premature ageing of our skin. In order for a Vitamin C product to be recognised as clinically active the percentage of Vitamin C must be of 20% or above. I would advise if you are using a percentage of 20% or above during daylight hours to follow with a broad spectrum SPF. It can help balance the skin at any age so I wouldn’t limit it to anti-ageing/anti-sun damage. Vitamin C helps to resurface and brighten the skin while protecting it, so it can be useful in tackling acne scarring too. It will work with younger skin to defend against the ageing process and work with more mature skin to counteract age spots and fine lines. Protects from free radicals and environmental aggressors. Builds collagen – L-Ascorbic acid is essential for cross-linking collagen molecules (plumps skin). Restores skin’s youthful appearance (smooths the surface appearance of skin). Reduces the appearance of premature aging – early appearance of lines and wrinkles. Reduces inflammation (redness or irritation). Reduces skin discolouration (scarring & sun damage). 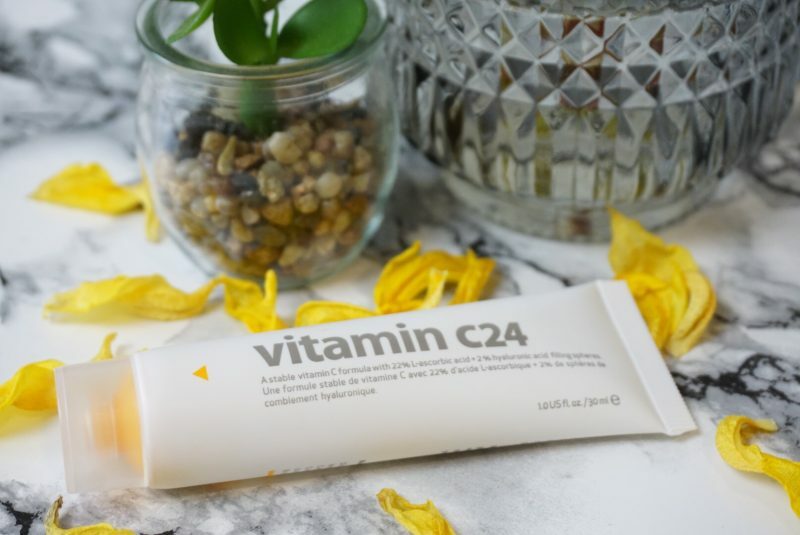 Why Indeed Laboratories Vitamin C24? I can’t state enough how important it is when you are buying treatment products that you research the quality of the ingredients. Indeed Laboratories Vitamin C24 has a 22% concentration of a pure, waterless and stabilized Vitamin C (look for L-absorbic Acid on ingredients lists). This dual-action formula stays stable, doesn’t oxidize and is formulated for optimal absorption into the skin. A combined serum and moisturiser formulated with + 2% Hyaluronic Microspheres. For the potency of the Vitamin C not tone affected, packaging must be air-tight, light-tight and waterless. Indeed Labs ensures the efficacy of Vitamin C24 by answering all these issues. I definitely experienced a tingle on first use, but this is the case with most potent Vitamin C products. The texture is a cream-silicone that absorbs quickly, leaving a very matte finish. Don’t expect a relaxing moisturiser with Vitamin C24, do expect it to give results. Apply a pea-sized amount to face and neck in the evening. Indeed Laboratories state this can be used AM & PM because the Vitamin C has been stabilised, but I would probably only use this as an evening treatment because of the strength. If you do decide to use this is the AM make sure you follow with an SPF of 30 or above. A slight tingling sensation is very common with pure L Ascorbic Acid products, this feeling should decrease with further use of the product but do expect to have some tingling sensation when applying Vitamin C to the skin. Avoid contact with eyes. IF product gets into eyes, immediately rinse well with water. A slight tingle sensation may be experienced from the high potency of vitamin c supplied. This is normal and will dissipate shortly after. * Contains PR samples & affiliate links. View my full disclaimer HERE.